For the relationship mothers and daughters share, even the minutest gesture of love makes a big difference. And when it's a special occasion like Mother's Day, a mom receiving a Mother's Day gift from daughter shall touch her heart to the fullest. This time around, pamper that special lady with hampers curated especially for her. "As mothers and daughters, we are connected with one another. My mother is the bones of my spine, keeping me straight and true. She is my blood, making sure it runs rich and strong. She is the beating of my heart. I cannot now imagine a life without her." ― Kristin Hannah, Summer Island. Yes, right from the childhood to the adulthood, your mother is probably the one who has been with you through every thick and thin. She is the one who shaped your personality and made you what you are today. Basically, she is the hero of your life whom you admire the most. Isn’t it? Thus, like yours, every mother in this world deserves to be celebrated. Don’t they? And, what better day there could be than Mother’s Day to thank her for always being your support, to show your respect for her, to honor her, and to celebrate her? To celebrate your mother in your life, FlowerAura brings to you an exclusive range of meaningful Mother’s Day gifts that will help you express your love for her in the most beautiful way. 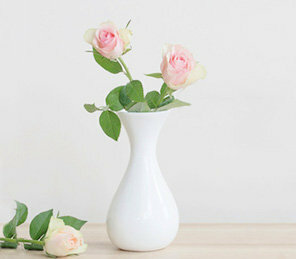 At FlowerAura, you can find the best Mother’s Day gifts that every mother would love to receive from their daughters. So, if you are looking for a perfect Mother’s Day gift for your mother, just scroll through our collection of ‘Mother’s Day gifts from daughter’ and honor your mom with a meaningful gift from us on Mother’s Day. We, at FlowerAura, have a wide variety of Mother’s Day gifts from daughters that will help you express your love and affection for her in the most eloquent way. We have different gifts for different types of moms. For that smiling mom, our range of Mother’s Day gifts ideas that they would love to get from their daughter includes aromatic flowers, delicious cakes, assorted chocolates, cuddly soft toys, assorted sweets etc. For the sweetest mom, our range of Mother’s Day gifts contains handmade chocolates, statement jewelries, Mother’s Day cushions, best mom trophy, mugs etc. For your superhero mom, our range of gifts for mother's day from daughters includes 5-star mom aprons, grooming kits, statement necklaces, dream catchers, oceanic candles, chocolate hampers, women essentials etc. So, on the occasion of Mother’s Day let your mom know that she means the world to you and you are nothing without her. Order a meaningful token of love from our gift ideas for mother's day from daughter and make her feel super special on Mother’s Day.